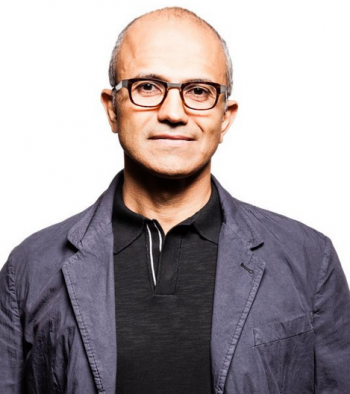 Satya Nadella is the man everyone's talking about, even the people who don't remember him. Microsoft's CEO search may be drawing to a close, and Satya Nadella, current head of the cloud computing division, is the man everyone's talking about. Nadella's a twenty-year Microsoft man,and before joining the company in 1992 worked for Sun Microsystems as a technology staffer. He's the man behind all Microsoft's cloud services, from Skype and Bing to Xbox Live. He holds a a bachelor's degree in electrical engineering from Mangalore University, a master's degree in computer science from the University of Wisconsin - Milwaukee and a master's degree in business administration from the University of Chicago. He's also distinctly unmemorable, at least if you believe his former teacher. Manipal Institute of Technology director Vinod V Thomas, who taught Nadella many years ago at Mangalore, claimed not to have any clear memories of his former pupil. "I cannot vividly recall him as he didn't figure in either ends of the spectrum," said Thomas. "Records show he was a first-class student who achieved distinction." That would fit with his current profile. He may be well known within Microsoft, but he's a cipher outside it. He's not what anyone would consider new blood. However gamers should take heart, as he's unlikely to want to sell off Xbox. If you want a riveting read, check out his Twitter feed. It hasn't updated since 2010, but you might get lucky. His nickname's Nutella, apparently. Hopefully that's a good thing.